Duck Tape has become incredibly desirable over the last few years with an every increasing selection of patterns and designs available. My daughter loves playing with it trying to make things and it’s a great craft she can sit and do with literally just a roll of tape or two. We received a selection of the latests designs to try out. Miss M had her friend round who also enjoys crafting with Duck Tape and they decided to make a storage box. I was a little sceptical as to how durable this would be, but her friend new the best way to tackle it and build up layers to create strong sides and a box that could be used. They decided to create each side out of a different patterned tape and got to work. They also made a base and then carefully assembled it together using more Duck Tape. The result is a beautifully durable box which I was really impressed with as they made it all on their own. 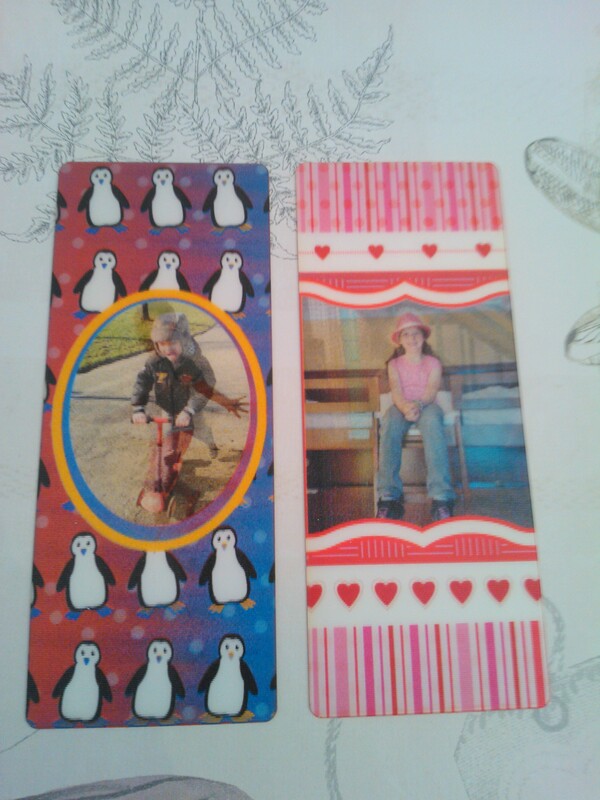 We then decided to make some bookmarks as with both of my children being avid readers they are forever looking for a bookmark to use. We simply used the wide tape and folded it over on itself several time to give it strength and there you have it, perfectly useable bookmarks. Miss M even made hers double sided with two different tapes whilst my youngest Mister B opted for a spooky ghost covered tape that has a special property of being glow in the dark! We’ve had lots of fun with Duck Tape and made some useful things. The range of designs is so vast now, it’s well worth checking out for all your household needs and crafting fun! Mother’s Day is the perfect time to spend time with family and of course spoil your mum. But what do you buy? There’s always the traditional flowers and chocolates but I think it’s nice to find something a bit different and possibly personalised. This is where Truprint could be the place you are looking for. Nowadays they do so much more than produce photographic prints, in fact there is quite an array of personalised gifts available that would be perfect for Mother’s Day this year. For my mum, I will probably buy her some flowers but I like to give her a present too. It’s always hard to buy for her as she seems to have everything but then I spotted this personalised jigsaw which can be made from a photograph. 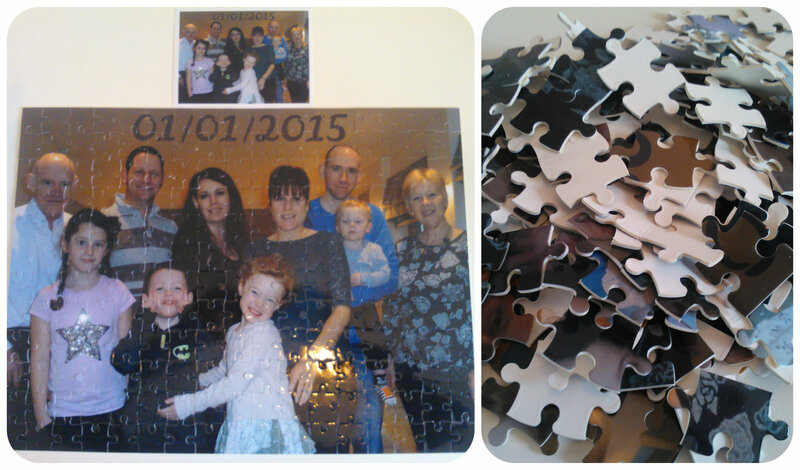 I know she enjoys doing a jigsaw, so I decided to get a puzzle made up using a family photograph taken earlier this year. I think it is something that she will enjoy doing with the grandchildren and they will be fascinated that their images have been immortalised onto a jigsaw! For myself I want something useful for Mother’s Day, a nice gift that doesn’t just sit there (I have enough clutter in my house!) 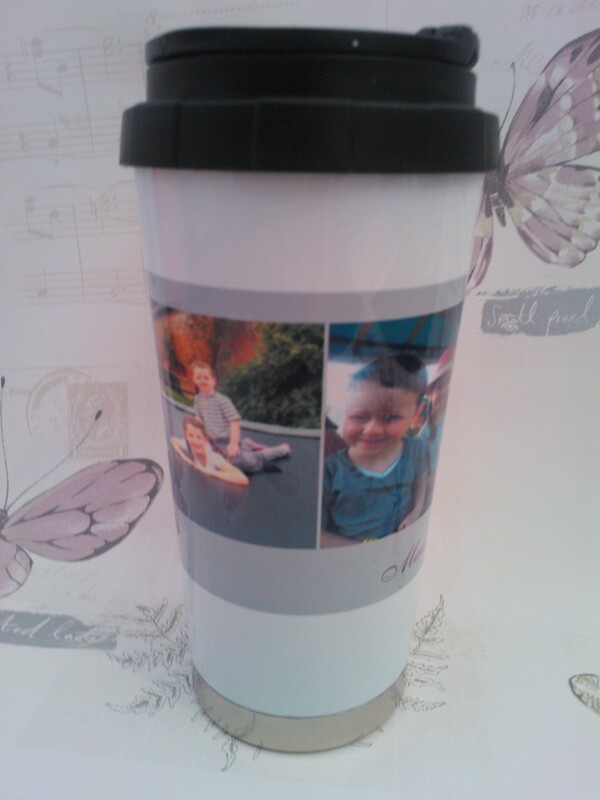 so when I spotted this 13oz Photo Travel Mug I knew it’s something I’d like to receive as I need a new lidded mug for work and how lovely to be able to look at pictures of my children all day! I think receiving something practical is so much more acceptable these days especially when it’s personalised. For children I think it’s appropriate to give just a small gift to their mummies, and something they can help design themselves and thats when I spotted these 3D Animated Bookmarks. With a vast choice of backgrounds to choose from and the ability to add two photos to each one that magically change when you tilt it, these are the perfect choice for children to give as gifts. My two designed one each with their own photos in and I can’t wait to receive them on Mother’s Day to use in my books. 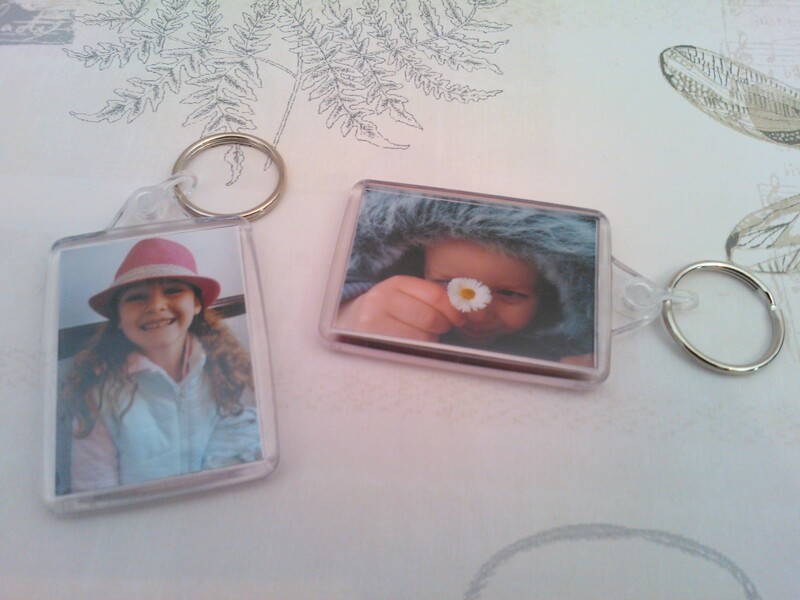 Another simple idea is a keyring where you can simply choose an image to go inside. These are ideal to use as a small gift on their own, or to add to other gifts. Why not take a look at the Truprint website yourself and see what you can find to give your mum this Mother’s Day? Truprint also offer photo cards, so what a perfect opportunity to have one made up for your mum this Mother’s Day. This year Truprint are running a Mum in a Million campaign where they want to make a million mums smile by giving away 1 million personalised Mother’s Day cards. To claim one of these cards just go to Truprint and enter MUMINAMILLION at the checkout. I was provided with Truprint credit to write this post, all opinions are my own.